Musical Laboratory*'s Malcolm Hyde makes no skull and bones about it. 47 Lab's impact in the summer of 1999, on the escalating complexity and size 'n' mass worship in high-end audio, was a seismic shock wave. It shook up those who paid attention. Naturally, it caused no large-scale shakeout in the industry at all. But Malcolm paid attention. He was duly shaken. And his own company now openly credits Junji Kimura with his own return to sanity. Like a junior kohei man, he steps into the elder sensei's conceptual transmission. Taking the torch. He also mentions influences from Thorsten Loesch and Allen Wright in the London audio underground, Christopher Own of Ack! Industries and counts TDA1541 fiend Pedja Rogic of Audial among his friends. thereby crediting the original 47 Lab Model 4706 GainCard as genetic precursor. If you recall, that famed pater familias of the breed used a $5 National Overture Series power op-amp as output device. It also got away with a minuscule circuit comprising 9 parts and a few centimeters of signal path plus a low-capacitance power supply. All this gave rise to the clever marketing slogan "only the simplest can accommodate the most complex". Where Musical Laboratory* parts company with the Japanese original is in the wrapper. Theirs is gorgeously bespoke Korean lacquer and inlay/appliqué art, not Kimura's stern military chic. And, there are designer parts inside. Those insist that while a superior circuit may well be simplicity incarnate, there's no reason to diss the very real performance advantage superior parts may have. If they do. Don't confuse simple with basic seems the message. * A description of the granite Korean Birojanabuljwasang statue from the 9th century reads: "It is a 'jwabul' seated Buddha with a 'gwangbae' halo above Palgakyeonhwadaejwa... the 'bosanghwa' styled floral medallion engraved in the halo, the 'hwabul' transformed Buddha, the 'hwayeommun' flame design on the outer ring, the 'yeonhwamun' lotus flower design engraved on the 'seat', the 'ansang' faces and animals are elaborate and flamboyant..." This site shows a blue and white Chinese porcelain plate with six bosanghwa flowers. "In general, these products are the fruits of a less-is-more philosophy but where necessary, we use higher quality parts and materials combined with clever use of minimalist circuits. For example, the barest of voltage dividers or shunt circuits can be applied to a standard potentiometer or stepped attenuator, turning it into a killer device. This gives volume control but the signal does not pass through negative sounding potentiometers. Instead it passes through only one resistor from input to output. In the case of our Paeonia passive, we selected the same military spec low-noise metal film resistor used in the Japanese Kondo amplifiers. This leaves virtually no footprint at all on the musical signal so the performance can exceed virtually any conventional passive pre money can buy, and is able to hold court with the same TVC passive pres, which are a favourite of the press." since with a single in-line series resistor, you have control over all the variables: conductor (material and thickness), resistive element, dielectrics etc. so all these can be optimized, something you can't do with pots and stepped attenuators. Good TVCs like the MF sound very good indeed but I want to prove that it is possible to create something that can let the music flow with much less complexity." * Harry O'Sullivan, upon my query what the inductive signal loss of his TVC was at unity gain, replied: "Unmeasurable." Malcolm's approach simply installs a voltage divider on the input of your power amplifier. Regardless of volume setting, i.e. even in fully open bypass, his passive Paeonia preamp knocks down the gain of your amplifier by about half due to that fixed-value series resistor. 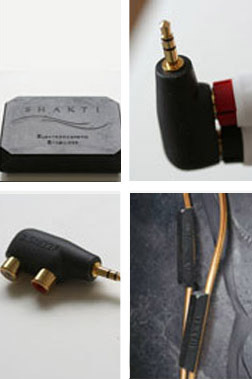 The intended audience is high-efficiency speaker users who suffer redundant gain. Using the same LM 3875 chip as the venerable G-card in non-inverted hookup, the € 2,400/pr Musical Lab monos part with the original also by way of their outboard switch mode power supply (€ 1,400 single, € 1,800 series twinned). While in the clutches of puritan notions, can Malcolm convince believers in linear power supplies that switching supplies are purer? Or is he simply trading one evil -- 50/60Hz powerline hum -- for another (ultra-sonic switching noise)? "I am not going to even try to defend our choice of SMPS from a purist perspective. As we mention in our blog about Ultra-fi, we will use any technology -- old, new, borrowed blue -- as long as the end justifies the means. An SMPS-driven Gainclone will present to you a deep black soundstage which uncovers new layers of detail, even whole new instruments in familiar recordings and more air around everything. (Here I am comparing against my much loved Humpty-powered original 4706 Gaincard). The real problem with switching noise is not so much about transmission but switching noise being conducted back into the electricity supply from the SMPS and which your other components are connected to. We spent some time looking around for a solution to this until we found a transformer-based mains isolation switch made in Belgium, which is one of the more expensive single parts in our audio components. A few final words on switch-mode technology: my partner here in Luxembourg, Mattias Rundberg, built a couple of Tripath switch mode amplifiers from the Swedish site 41kH which he ended up putting in his kitchen - a good place for them." Of course the twinned power supply umbilicals for the Bosanghwa monos are Litz wire and their power connectors capable of gas-tight connections. 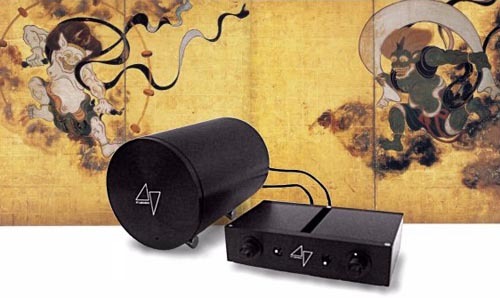 Now add the black-lacquered wooden enclosures with mother-of-pearl inlays of the mythical Buddhist flower. Mostly, it's as though Kimura-San's tie-in with Zen -- intended by him or tagged on by a clever copy writer after the fact -- has undergone the whole hog treatment. I said mostly because strangely, the power supply enclosure/s remain/s an ordinary aluminum extrusion quite out of step with the general 'Zen for interior design people'. Incidentally, that style isn't for frugal Futon-ites sleeping on the floor. Or bug-eyed Bodhidharmas. In Zen's world of the market place, this style comes at a price. While direct sales keep things in check, the 56-watt monos with single power supply still demand € 3,800/pr. Keeping in mind the current exchange range, compare that to the $ 1,200 to $ 1,800 Peter Daniel gets for my AudioSector Patek to Patek SE (which incidentally bridge to a solid 100 watts if you get a pair). 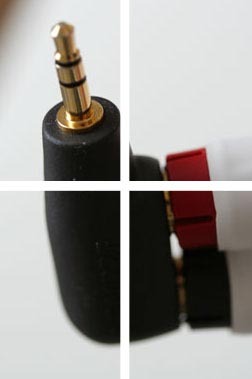 Musical Laboratory* also makes its own solid-core silver or silver/gold alloy foil cables in cotton or silk stockings (for the speakers, those are preferably with connector-less ends). Hence their internal component wiring follows suit. Signal-path leads are "vanishingly thin silver and silver/ gold conductor foils in an air dielectric". No surprise but solid method then is the choice of connectors for their € 899 to € 1,125/m/pr interconnect models - modified, cryo-treated low-mass Eichmann bullets. Or Xhadows for balanced. The mission statement of PuriFi stretches across the board. For the € 1,895 passive preamp with two inputs, this means solid silver i/o ports, Tokyo Ko-on Denpa broadcasting quality attenuators and ultra-thin silk insulation for the flying leads. To keep the signal path truly short, the Paeonia's controls and input switch reside inside the box beneath the removable lid. Metal-to-metal contacts are pure silver, the box itself is lacquered and decorated with an iridescent Abalone mother of pearl Paeonia motif. Adding up all the evidence prior to clapping ears on these items, it's fair to call Musical Laboratory* an outfit that attempts to wrap purist/minimalist high-performance kit into upscale lifestyle cosmetics. The target audience is expected to have the sophistication -- nihilism to the hair shirts -- to insist that a high dose of fine art be applied to the usual metal boxes; possesses the self-confidence to appreciate that small can be mighty where it matters; isn't bothered by a rehash of the tried 'n' true over whiz-bang circuit advances (whether those be real, imagined, claimed or not); and is monied enough to not trace back low parts count and petite housings to the final bill with a wagging finger and ire in the eye. Do you somehow think this a bag of demands to pull over his audience by a shrewd profit-driven audio capitalist? I rather think the entire approach here positively reeks of conscious intention, deliberate focus, the artisanal in the commercial, the very niche and rarefied. How big of an audience exists for it? That's likely not the primary concern of Musical Laboratory* and clearly nothing for reviewers to fret over. Our job is sonic merit. And how much of it. The how much for it is your bag. Those who follow my writings recognized upfront that this stuff was up my alley. Which perhaps is why Mr. Hyde approached me. I like chip amps. How much sonic wiggle room would there be compared to mine? Single-ended 300B amps can sound wildly different after all. Color me curious about a pet subject, a bit suspicious about the Paeonia passive. In either case, the only way to suss things out was to clap my ears on this bonsai audio crop. With anything artisanal, it always helps to understand the creator's vision for a full appreciation of his or her creation. Malcolm explained that "Musical Laboratory* is my vision, and as I said, it came not only from 47 Lab but from Japanese minimalism in general. Masaoki Shiki was a young poet I studied in my school days who challenged the orthodoxy of Japanese poetry of his day, which had become bloated and unreadable. Shiki is credited with inventing a new grammatical structure, the Haiku, in which only a few words were used to perfectly capture a moment of consciousness or describe something in the natural world. Our silver foil and silver/gold foil cables are named from his poetry. "What Shiki did for Japanese poetry is our vision for musical reproduction. Junji Kimura at 47 Lab showed the industry there is another way and people gave him praise and paid lip service but still continued in the same way, making the same mistakes. produce today. Musical Laboratory*'s other force is a Swede living here in Luxembourg named Mattias Rundberg. Mattias keeps at least one of Musical Laboratory*'s feet planted firmly on the ground. He is a master of Ohm's Law and can give you the microfarad value of a capacitor or the Ohm value of a resistor to give a desired circuit effect faster than a heart beat. Mattias has been instrumental in making Musical Laboratory* run along the lines of a real laboratory by insisting on scientifically measuring effects and subjectively not using listening tests but by listening tests under blind listening or double blind listening conditions. "Our kit is aimed at the high-efficiency speaker audience. Most of our enquiries come from valve enthusiasts who are looking to try something new. The Paeonia preamp is a device for someone who only listens to one or two different sources and who needs volume attenuation. I think this meets the majority of people's needs. Most SET lovers are more than happy with 12 or 18wpc of music so I don't think they have any need to be unhappy with a monoblock amplifier that offers them 30wpc. The fact that we don't offer 100 or 200 watts does not concern us at all. In fact the opposite is true. We would like all those sad customers who might have bought muscle amps and thick cables and multi-driver, inefficient speakers to come to us. We believe that the clinical and harsh approximation of music portrayed by much of the so-called 'Hi-End' has actually alienated music lovers from their music, rather than brought them into closer communion with it. Perhaps it is a reason why the industry is in the state that it is in. It really needs to get back on track and there is a new generation of audio designers starting bubble to up from the on-line DIY scene who can do this. "The word about using high-efficiency speakers is spreading. In fact, it has already spread through the online DIY forums and it is only a matter of time before it will cross over into the commercial mainstream. Let's be clear about Musical Laboratory*'s business model too. We are not a mass producer who is looking at unit costs, cheaper alternatives, offshoring, price points and profit margins. We are a small group of ultra-fi enthusiasts who currently build things by hand, which we then sell to other enthusiasts under the ML logo and ask a fair price for the time and effort and care and love that goes into each of our creations. We want to create a brand that enthusiasts can trust, or at least be sufficiently interested in what we are trying to do, to give us a listen. 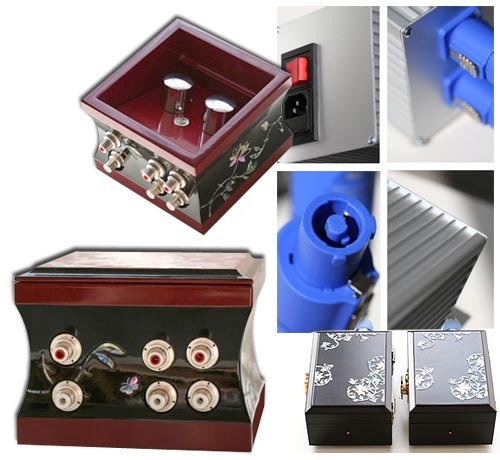 "So the choice of aluminium power supply enclosure is quite deliberate. Without laying out all our reasons for this, let's just say that we like to keep power supplies in metal enclosures well away from the signal path, and we don't like metal enclosures encasing the signal. It's the same reason why we don't put braided metal shields on analogue cables. The choice of SMPS as a power source was simply that it brought us closer to where we want to be than other alternatives we tried. "Our products celebrate Japanese minimalism but we don't wish to be tied down to a specific style or a dogma. It is about understanding why things are there, by putting only what is needed to create an effect; it's about using the correct materials and design in the correct places. I think by and large we achieve this. If you look closely at our components you will see some very exotic materials in there (Mu metal, silica gel, silver-gold foil, an organic violin lacquer from the Tyrolean mountains and so on), but there is always a reason behind it."